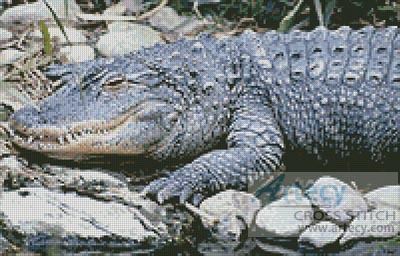 Alligator Counted Cross Stitch Pattern to print online. This pattern displays a close up picture of an Alligator resting on rocks. It was created from a photograph.